The Lean Startup gets to product/market fit by following the process of Customer Development. Customer Development was created by Steve Blank, mainly based on his experience in the enterprise software market. 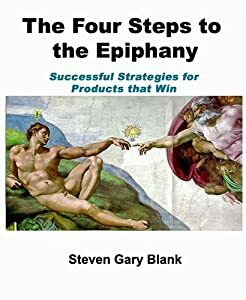 Steve Blank’s book, The Four Steps to the Epiphany, is required reading for Lean Startups. Customer Discovery, the first step in Customer Development, teaches an iterative process of documenting your business hypotheses, testing these with your early-adopter customers, and modifying the business model based on your customer discovery and learning. In his book, Steve Blank presents his detailed customer discovery process for enterprise software startups. Ash Maurya, founder of web 2.0 company WiredReach, shares his version of the customer discovery process for web startups on his blog. The two diagrams above show the types of hypotheses needed for enterprise software and web startups. The four-part medical device customer requires a medical device startup to form a slightly different set of hypotheses. This exercise is really just another way of documenting your business plan, but in the useful form of testable/changeable hypotheses. I’ll describe some standard medical device hypotheses here, with hypothetical examples of a new coronary stent and a single-incision laparoscopic surgery tool. Around 0.5% to 1% of coronary stent recipients suffer a heart attack due to late stent thrombosis, and the risk of late stent thrombosis requires the patient to take anti-platelet medications to reduce the risk of late stent thrombosis. (Notice that none of the proposed solutions of imaging to achieve better stent placement, biodegradable stents, and safer anti-platelet medications are not listed in the problem hypothesis). More than 25% of laparoscopic surgery patients are dissatisfied with the cosmetic outcome associated with multi-port laparoscopic surgery. (Note that the potential solutions of single port surgery and natural orifice surgery are not described in the problem statement). A product that solves the late-stent thrombosis problem could realistically be used on all ~1M US patients who get coronary artery stents each year, because all are at risk. A product that solves the dissatisfied laparoscopic surgery patient problem could realistically be used on all (>1M) laparoscopic surgery patients each year. Steve Blank (The Four Steps to the Epiphany, p. 10) asserts that startup markets fall into one of four basic types, which are readily applicable to the medical device industry. Blank states that because “the four types of startups have very different rates of customer adoption and acceptance, their sales and marketing strategies differ dramatically.” So, the market type hypothesis is important for understanding the spending required to achieve customer adoption. For each of the four market types, I’ve added a medical device example. Bringing a new product into an existing market (e.g. Cordis’s introduction of the first drug-eluting stent, to replace bare metal stents). Bringing a new product into a new market (e.g. Target Therapuetics whose catheter-based tool for neuromuscular disease created a new medical specialty – interventional neuroradiology). 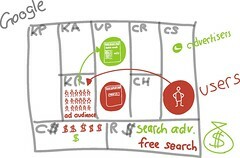 Bringing a new product into an existing market and trying to re-segment that market as a low-cost entrant (e.g. the Sonosite laptop ultrasound). Bringing a new product into an existing market and trying to re-segment that market as a niche entrant (e.g. the bifurcation stent intends to create a new niche in the stent market). a 3.0mm diameter, 25mm long biodegradable stent that has the structural integrity of current stents, elutes the same drug at the same rate as current stents, but biodegrades without any harmful effects after six months. (Note that the minimum viable product does not include all diameters and all lengths). a laparoscopic tool-set for cholecystectomy that combines visualization and treatment into a single port, but maintains triangulation of visualization. (Note that the minimum viable product does not include tools specific to other surgical procedures). Every startup makes implicit assumptions about the market and the competitive environment. Even mundane assumptions can have a major impact. In late 2007, everyone I met in the aesthetic device industry assumed that the market for aesthetic devices would continue to grow at 15% to 20% per year, driven by the aging baby boom population. We missed the link to the overall economy, which drove a 40% decline in industry revenues over the next 12 months. In this section, we make explicit our assumptions about competitive behavior, related markets, issues facing our customers, and the overall market environment. There will be no significant advances in medical therapy for coronary artery disease that will impact the market for stents in the next five years. Our analysis of competing biodegradable stent technologies indicates that other competitors either cannot achieve the key benefits that our product delivers, or that they do so at a much higher product cost. Health care reform in the US is unlikely to affect the market demand for drug-eluting stents. Today, the FDA and EC regulate medical device design, manufacture and sale in the countries representing the largest medical device markets. Your regulatory hypothesis states how your startup will achieve clearance (to market) and compliance (with design and manufacturing regulations) for these two regulatory bodies. (Japan, China, Korea and Brazil have their own special regulatory challenges, but that will wait for another day). Your regulatory path often includes the need for clinical trials. Even when clinicals are not needed for regulatory clearance, they are often necessary to drive market adoption. Your clinical trial hypothesis states how your startup will perform clinical studies to provide sufficient evidence to gain regulatory approval and to convince physicians/patients to adopt the product. The biodegradable stent is an FDA class III implantable device, and will require a PMA supported by an ~1,000 person randomized, controlled non-inferiority trial versus an existing drug-eluting stent (pivotal trial). Prior to the pivotal trial, we plan to run one ~100 person pilot trial, to demonstrate safety prior to beginning the pivotal trial, and to achieve CE-marking, allowing us to sell the product in Europe. After beginning sales, we will start a registry to collect clinical data on normal patient usage of our device, similar to registries for existing drug-eluting stents. We will develop our own internal quality systems to ensure compliance with design and manufacturing regulations of FDA and CE-MDD. We will build our own manufacturing capability to ensure quality control of our product, and compliance with manufacturing regulations of FDA and CE-MDD. For a medical device startup, acquiring new customers can be a long, costly process. Distribution channels, pricing, and revenue strategies are critical. Unlike self-serve web 2.0 sites, medical devices companies still need sales reps to bring in new customers, and some level of clinical training and support is often required. The most common types of distribution channels are direct (sales reps employed by the company), independent distributor(s) contracted by the company (managed by one or more sales managers), strategic partner(s), and independent reps managed by direct sales managers. The cost and timeline associated with acquiring new customers should be estimated. A specific price and pricing strategy should be hypothesized, and assumptions of competitor pricing should be listed. Pricing can be especially challenging for products with both capital and disposable components. A low-volume user may never pay back in profits the sales/marketing cost of acquisition, so assumptions about revenue per customer, repeat sales, and/or contract renewal rates are important. We will sell our biodegradable stent for $3K each (25% premium to existing stents) via a direct US sales force with experience selling previous stents, supplemented by clinical training/support specialists on a contract/as-needed basis. In the first year of sales, we plan to have 20 direct reps, expect that the sales process will take an average of 6 months, and expect to achieve a volume of at least 200 stents per year in each customer site. Outside the US we will use a network of independent distributors with similar capabilities/experience. Each sales rep will be targeted at $1M in revenue per year, and will be at run rate by the end of 6 months. In the important US market, most physicians are still paid on a fee-for service. If physicians aren’t adequately compensated and motivated, adoption will be delayed. So, document your assumption about how physicians will be paid. If insurance-reimbursed, is there an existing CPT code they can use? If so, document why physicians can use the existing code, and document the average physician reimbursement. What does the physician earn on a per-hour basis, and how does this compare to other procedures they could do? If there is no existing CPT code, what are your assumptions about the path to adequate physician reimbursement? What other companies/technologies have recently received codes and coverage, and how does your plan compare to their activities? If the product is not insurance covered (e.g. refractive surgery or aesthetic surgery), document your hypothesis about how the physician is compensated for his/her time, and how this compensation compares to alternate procedures. For implantation of our biodegradable stent, the physician will use the same CPT billing code as for the metallic drug-eluting stent, and will be paid the same amount, which is sufficient for our procedure. The existing CPT code for stent implantation is not specific to metallic stents, so it covers our device and therefore can be used by the physician. The physician will bill for our single-incision laparoscopic procedures using the same CPT codes at the same rates as current multi-port laparoscopic surgery. While our single-incision procedure takes longer than the existing procedure, the ability to bring in more patients (with the single incision procedure) enables the physician to grow their business and maintain a better professional reputation. While medical device companies understand the FDA and CE regulatory process, it’s more difficult to understand and manage the way that hospitals are paid for their services (a.k.a. reimbursement). If your product increases hospital direct costs, without an increase in hospital revenues, the hospital accountants may become a serious obstacle. If the majority of your patients are 60+, in the US, medicare (CMS) will be the insurer of largest concern. Otherwise, you may need to learn the process of several large private insurers, including traditional insurers (e.g. Blue Cross) and HMO’s (e.g. Kaiser Permanente). It may also be important to address assumptions about other aspects of the hospital, including purchasing, accounting, capital budgets and facilities. For the hospital, the biodegradable stent will replace an existing product under the existing reimbursement coding, which are DRG’s for drug-eluting stents. The hospital will be willing to pay a slight premium versus current products, do to the improved outcome, despite the unchanged revenue the hospital receives. The hospital CFO will not have to sign off on the purchase of biodegradable stents, and no special changes to the hospital budgets need to be made. The hospital will buy the biodegradable stent from a start-up company that is not a current vendor, because of the clinical data supporting the device and the financial health of the company. The hospital will promote the biodegradable stent as a marketing tool to patients. No additional products or facility modifications need to be made in order to use our product. Medicare will not change hospital reimbursement for drug-eluting stents. The first step for the lean medical device startup is documenting the business plan or business model in the form of hypotheses or assertions. Try to uncover hidden assumptions, as these can make all the difference. In subsequent posts we will explore the testing and modification of these hypotheses, as part of the Customer Discovery process for medical devices.